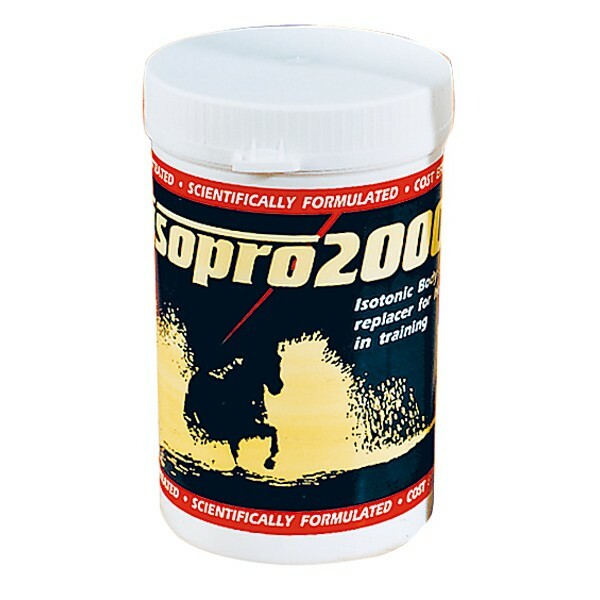 Isopro 2000 is a super concentrated, highly developed formula offering affordable and remarkably rapid electrolyte replacement. Specially formulated for performance horse, TRM Isopro is designed for daily use and quickly replaces the broad spectrum of electrolytes and minerals lost during sweating. Deficiencies of electrolytes can lead to a build-up of Lactic Acid, 'Tying-Up' Syndrome and decreased performance. Isopro 2000 uses natural flavourings to give it a palatable aniseed taste. Horses in training: Feed 60g per day. Fresh drinking water should be available at all times. There are currently no questions for TRM Isopro 2000 for Horses - be the first to ask one!